Here we have the Vogue, Granada. 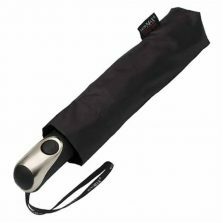 A really special gent’s fully automatic folding umbrella. 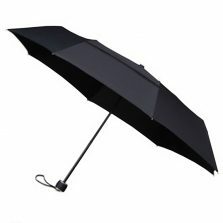 This super stylish umbrellas has every thing you want in an umbrella and much more besides. 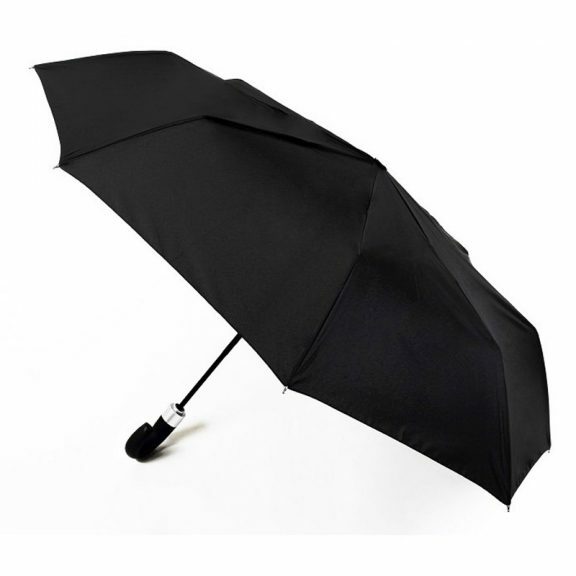 The Granada is pretty much the smartest executive style compact umbrella that we have seen to date. It’s smooth sleek line, silver collar and modern textured rubber crook handle make it stand out against it’s competitors. 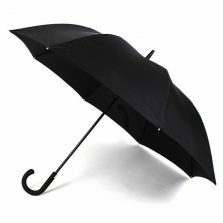 The 8 panelled, black pongee canopy is Teflon coated for durability and when open has a huge span of 107 cm. Not only that but it is windproof! 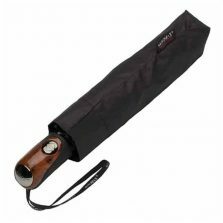 This amazing automatic folding umbrella has a 3 section steel frame and yet weighs a mere 436 gr. When folded it is only 34 cm long, so will easily fit into your pocket, bag or glove box. On top of this it is fully automatic so opens and closes at the push of a button. The Granada is your best friend in the rain, make sure you keep it close to hand.